I started this project knowing it wasn’t going to be too complicated but would require some creativity. 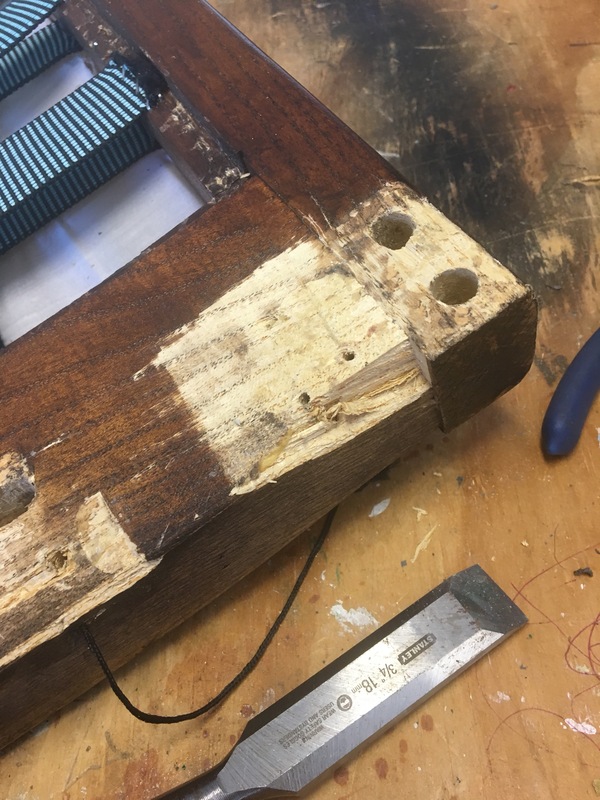 The chair had some cracked places where some of the wood had split and fallen off. 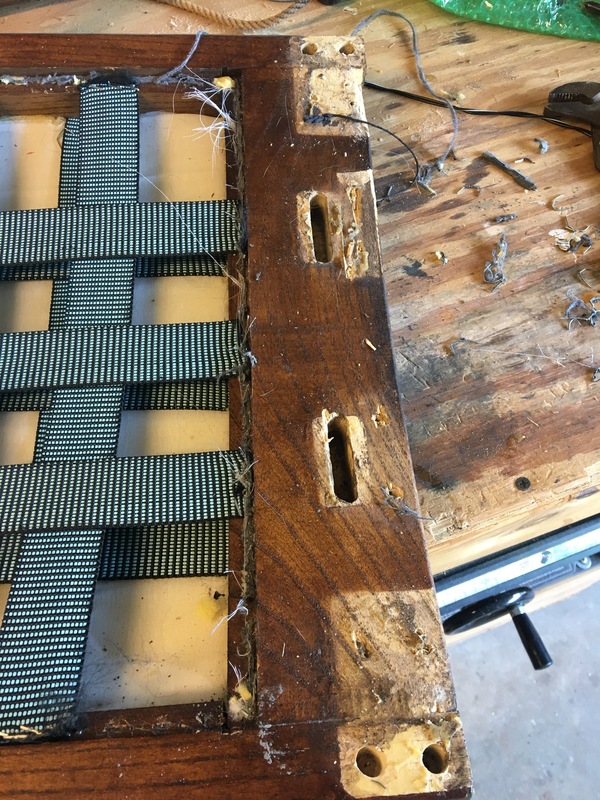 Over time, some of the screws had worked their way loose and the holes had become stripped making the whole chair unstable. 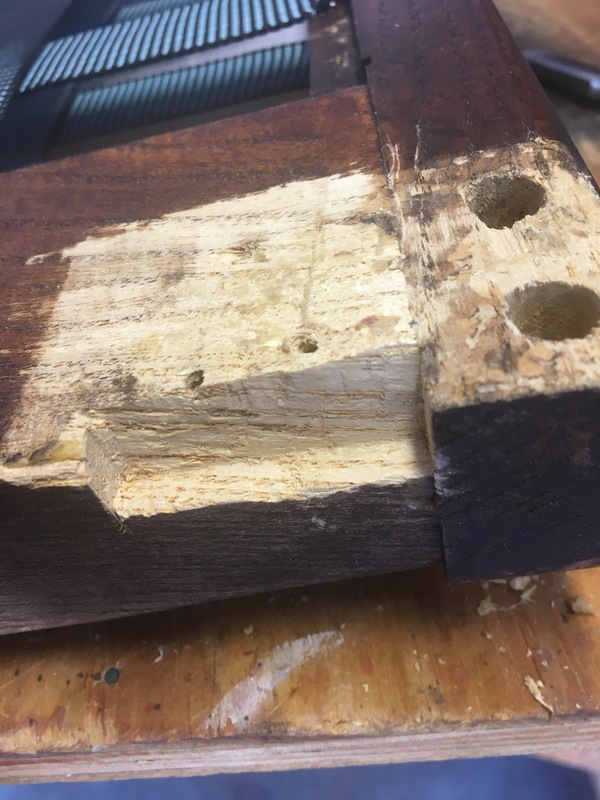 I cleaned out these split areas and squared them off the best I could so I could glue in some new pieces. 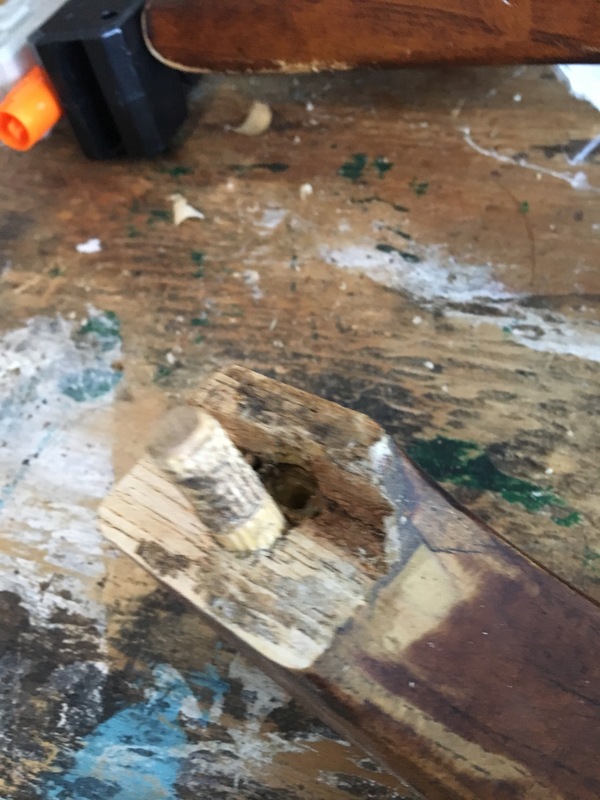 I also scraped all of the joints clean to get rid of the old glue so the joints would have more surface area to make good connections. 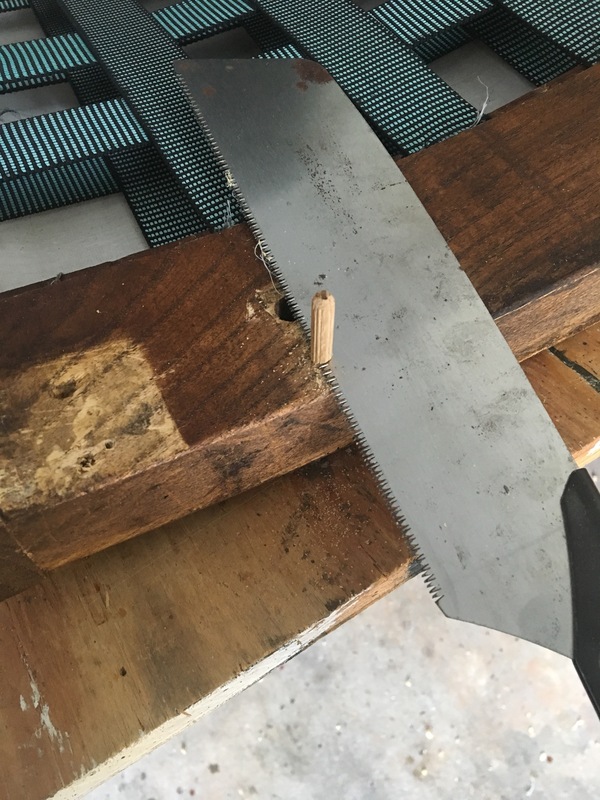 One of the arms had split at the joint so this needed to be repaired. I used pine because it is easy to shape and would take stain to get the color close. 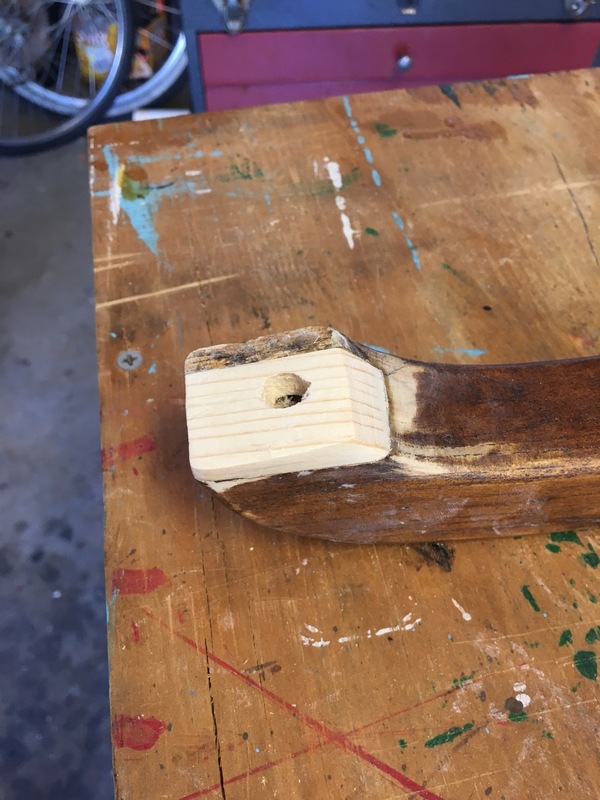 After the glue dried I was able to shape it to the chair and carve out the hole and keep it tight. 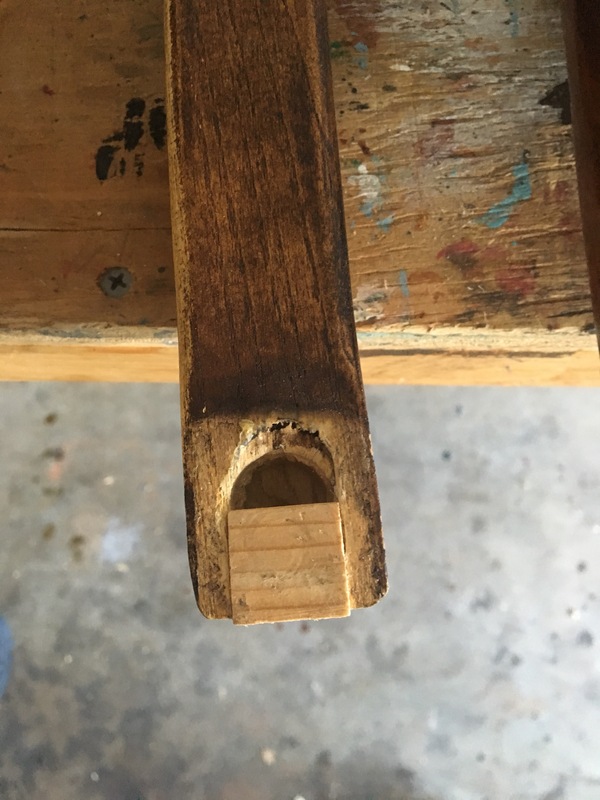 This joint had been filled with wood putty that was crumbling so I chipped it all out, squared off the end and added a new piece. This made the whole process longer because I had to wait for the glue to dry. 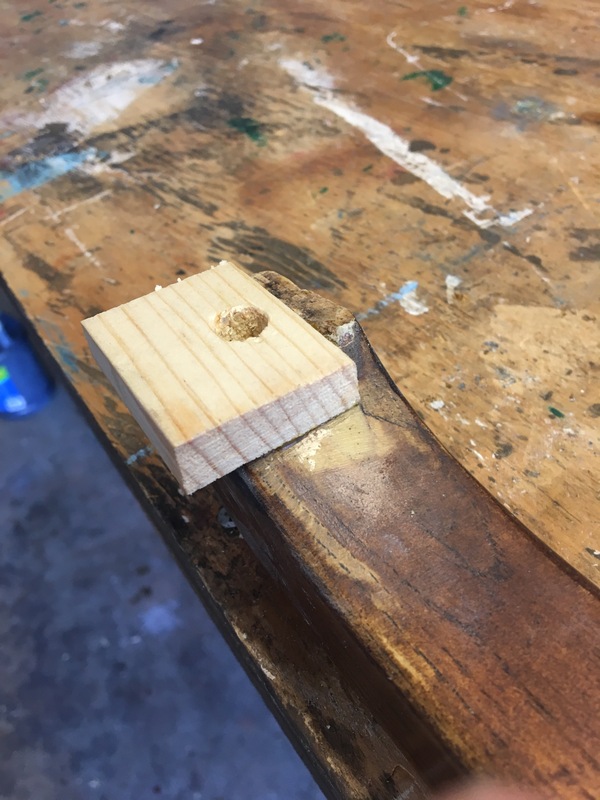 For the stripped screw holes I drilled them out and glued in wooden pegs and then cut them off flush. 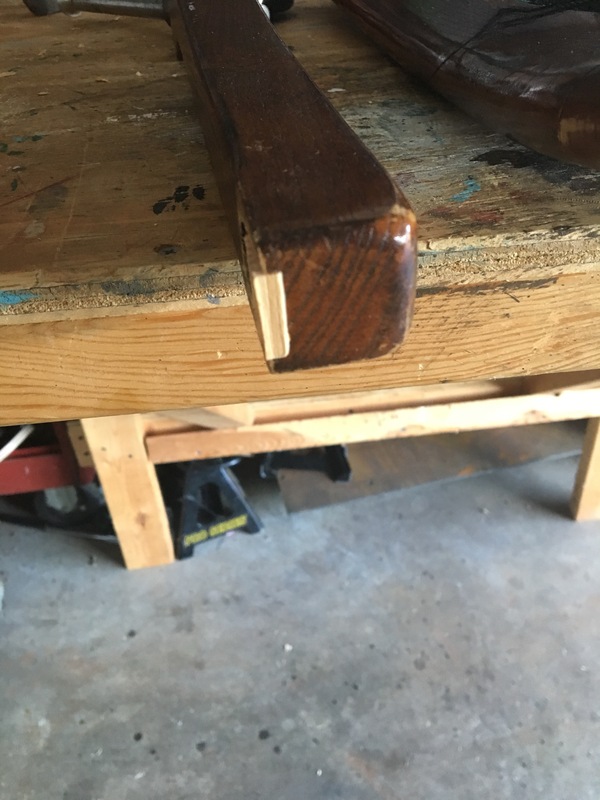 After all of the repairs were finished, I screwed the whole chair back together and glued each joint. 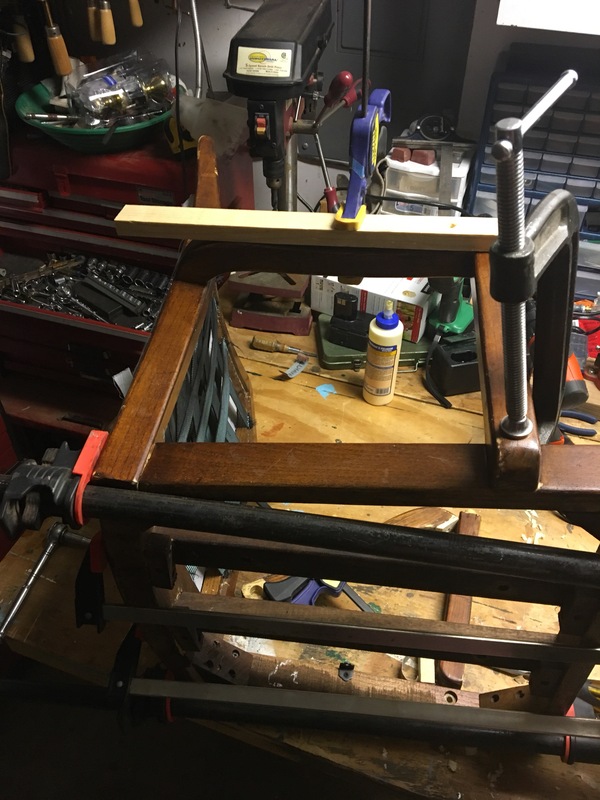 I put clamps on the whole thing and let it dry.